This white plastic chair is a tool. 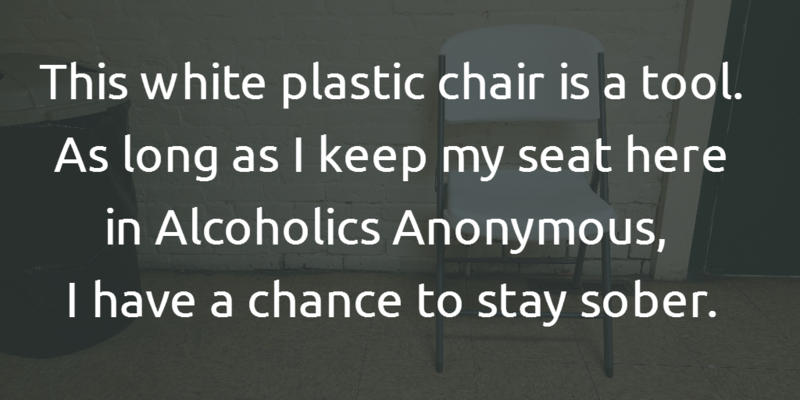 As long as I keep a seat here in Alcoholics Anonymous, I have a chance to stay sober. Another big reason, getting the medicine right for my mood disorder diagnosis. And finally, I want to be near my kids. Last night I was just a regular dad taking them to Taekwondo practice. That’s not so bad after all.